Use the lens of learning, rather than judgment, to better understand who you are and how you want to show up in the world. This is a MUST WATCH episode about overcoming the self-perception problem. Here’s the best path for understanding yourself (and your FULL growth potential)! Complete this training’s WORKSHEET, and improve your self-perception! Have you ever perceived yourself differently from everybody else around you? You think you’re this great, amazing person, and other people around you are being mean. Maybe sometimes, you’re down on yourself, but people say things to you like, “No, you’re awesome! I love you, what’s wrong? I love you!” If you’ve ever had that, there’s this challenge sometimes between our self-perception and how other people perceive us. Let’s talk about what you can do to bring those a little bit closer together. 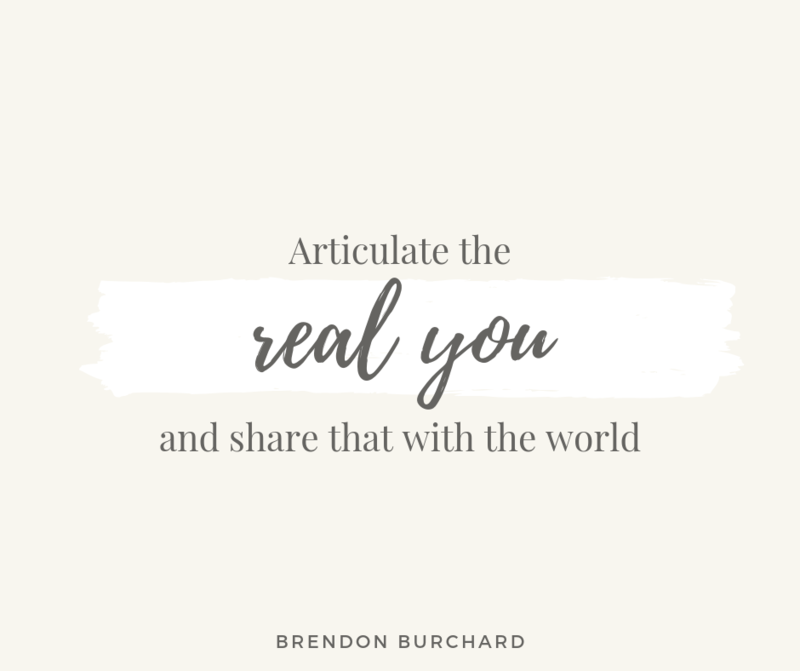 If you can’t articulate the real you, please don’t ask other people to figure it out. 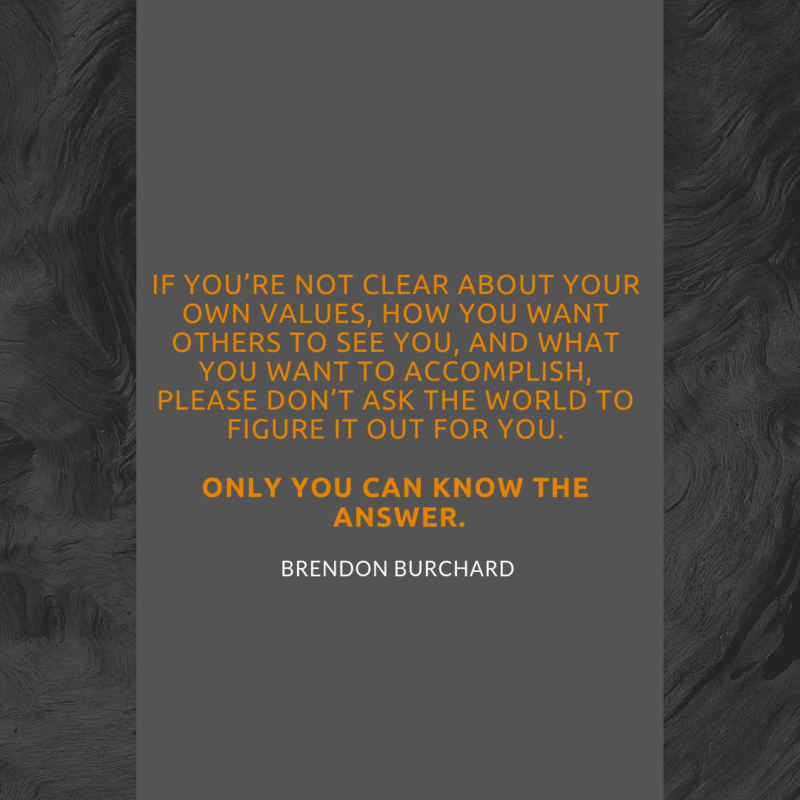 If you’re not clear about your own values, how you want the world to see you and what you want to accomplish, please don’t ask the world to know who you are and what you’re about. The second big thing you can do is learn by discussion. This is the hardest thing to do and what this means is: ask other people how they perceive you. Let’s say you had a job and you have a great meeting, and you feel good about the meeting. Lots of people will walk out and just go celebrate and they’ll think, “Oh, I guess I did a great job!” Instead, ask those people, ”How did that meeting go for you? How do you think I did? Was there anything else I could do better? How do you think of the way I talked to this person? Is there anything that you feel like I missed?” Start asking other people to share their perceptions of you and your performance. It is the gutsiest, scariest thing in the world for people to do because most people don’t want feedback. But if you never solicit feedback, if you’re not consistent and asking for it, then people just don’t say it. Then one day they’re like, “I think you’re like this,” and you’re like, “How could you say that? We’ve been in a relationship for 10 years!” And they say, “I guess you never asked.” So you’ve got to ask. Ask consistently and constantly. In almost everything you do, ask, ”How was that? Did I come across as this? I was trying to go for that. Did it work?” Even as we’re shooting this video today, I shot a couple of these and I asked my team, “Do you think that was too slow? Was it too fast? Did I get my points across?” If you don’t ask that, you don’t know. 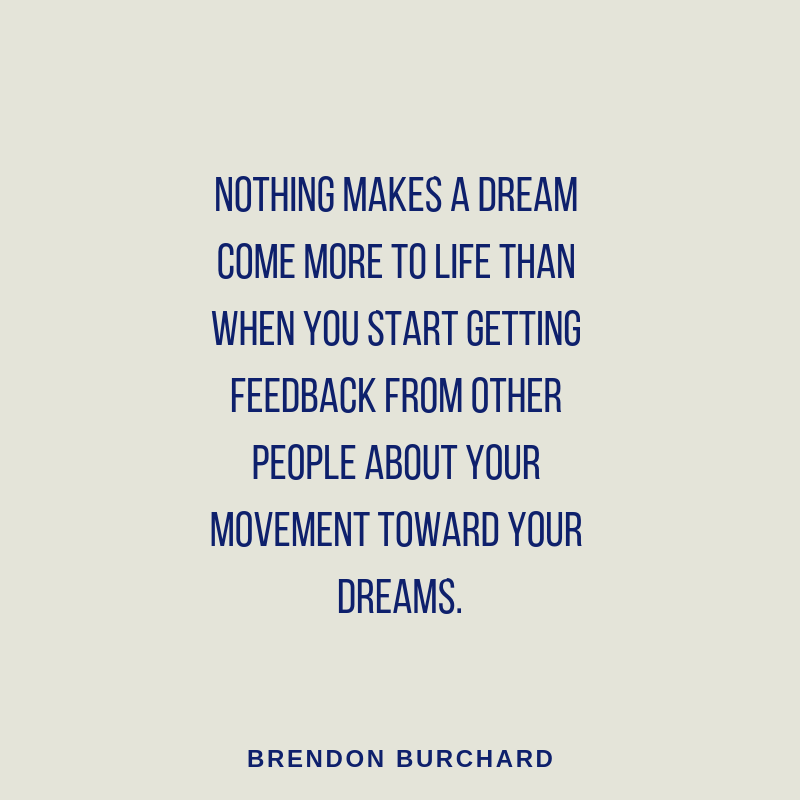 A lot of the external feedback that comes from others can give you the real direction for how to be better. I know it’s scary. People might say negative things, but if you realize all you’re trying to do is learn, not judge, everything goes fine. If all you’re trying to do is say, “Hey, just give me the honest feedback and don’t worry about saying it exactly right. I won’t get hooked, I won’t get mad.” You’ve got to actually have those conversations with people. Allow them to share the feedback and don’t take it personally. Take it as a learning point that either applies and is true for you, or not. I get a lot of feedback. I’ll try to do better next time to make sure that that doesn’t happen, but I don’t ever hold it against other people. Now, is it true that some people are going to be mean to you? Is it true some people are going to call you names? Is it true some people are gonna be hard on you? Yeah, that’s part of life. So don’t be surprised by it anymore. You’re too old now to be surprised by other people being a jerk to you. You should know that it’s going to happen. You should know people are going to give you negative feedback, and what you have to do is start learning to take feedback from people who know how to deliver it. If someone gives terrible feedback and they’re a terrible jerk and they’re always that way, don’t take that personally. Just know that’s their style, that’s their thing, that’s their life, that’s their axe to grind, not yours. 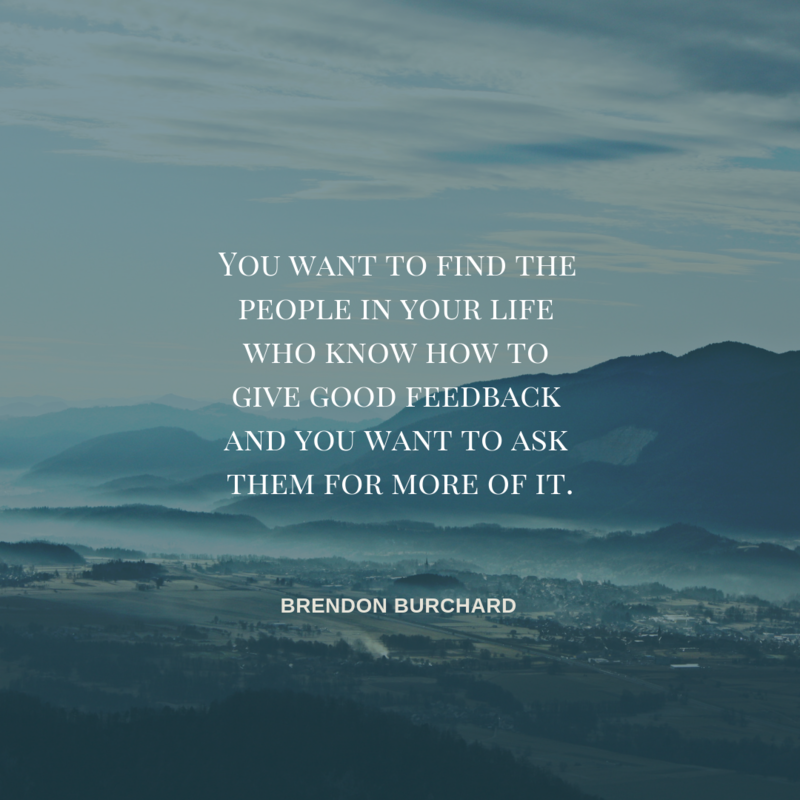 You want to find the people in your life who know how to give good feedback and you want to ask them for more of it. The third thing you can do is make sure that you’re doing progress checks. I know a lot of people who feel like, “You know what, I’m amazing, I get a lot done, I’m awesome,” and yet they are still living in their parents’ house and they’re 50. A lot of people’s self-perception isn’t real because their self-perception is never checked against progress. Self-perception should always have a component of self evaluation- compare to where you want to be. A lot of people think they’re great, but they haven’t done anything in seven weeks. A lot of people think they’re not good, but they’ve had so much progress, they’re not giving themselves credit. We’ve got a lot of people who are so amazing in their life, but they never feel amazing because all of the progress they get, they never look at it and they never integrate those wins, integrate that progress, integrate that momentum. Their identity feels weak, they feel bad about themselves, they hate themselves, even though they’re amazing. Sometimes we have to tie a little bit of our perception to our progress because that just makes it real. I know people comment, ”Oh, you don’t understand, Brendon. That’s a dangerous thing to do because some people, if they’re not getting any progress, they’ll hate themselves.” No, this isn’t about hating yourself. It’s about being real with yourself. If you’re not progressing towards your goals, call a spade a spade. You may say to yourself, ”You know what? I’m not showing up enough. I’m not giving my full. I’m not playing intensely. I’m not protecting my time and handling my time well. I’m not speaking up for my truth.” Sometimes you’ve got to be real with yourself before you know yourself. Sometimes you’ve got to acknowledge the fact that you’re not progressing, and that will spark something under you and you tell yourself, ”You know what, I don’t want to feel like a loser. I don’t want to feel like I’m not doing things.” I know that language is hard for people because no one wants to feel like a loser and no one wants to feel like they’re not doing anything, but sometimes it’s okay. There were times in my life when I wanted to be a writer, and maybe you know I’ve written six bestselling books now… but I’m telling you before that period of time, I kind of hated myself because the truth was I wanted to be a writer, but I wasn’t writing. At some point I had to own that and say, ”You know what? It’s okay I feel crappy about myself as a writer because I’m not writing,” and that internal angst can sometimes become the fuel and fire. 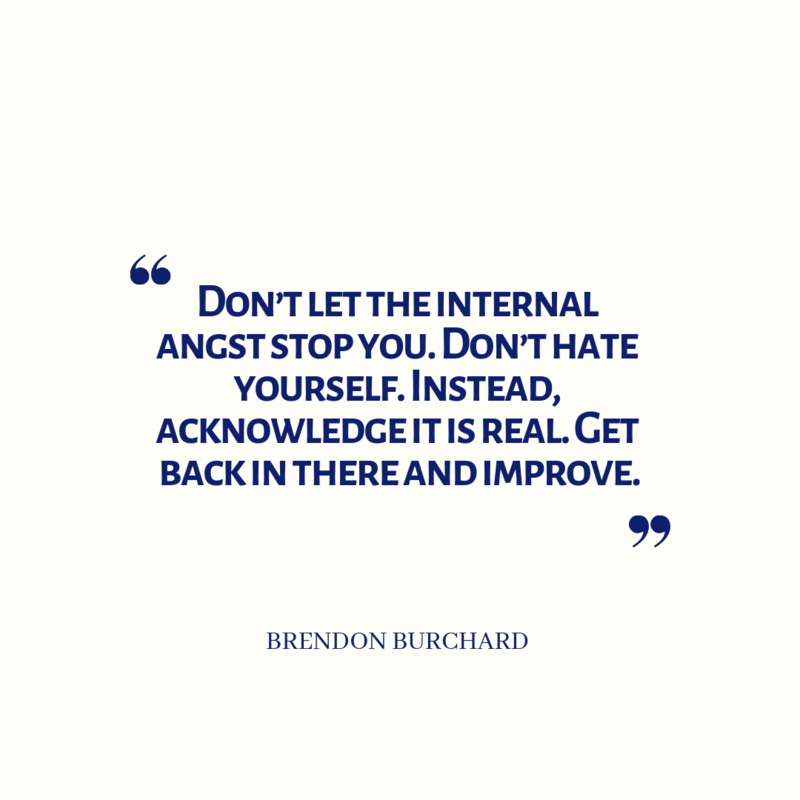 The main thing is: don’t let the internal angst stop you and hate yourself. Instead, acknowledge it is real. Call a spade a spade, and get back in there and improve. Approach your life as an opportunity to grow and progress faster and your self-perception will start to align with it. Your self-perception, your confidence, how you feel about yourself: if you can align it with real progress- you’ll feel momentum and the depth of your character. If you have the bad days or the bad weeks or the bad months, you’ve got to acknowledge it and be okay with it. Don’t hate yourself but go, “I can do better. What’s my next project? What’s my next progress check point? What’s the next milestone?” Get back on track again and you’ll find yourself feeling better and people perceiving you in more of your truth, which is: you are a capable, competent, confident person. There’s no greater way to gut check your self-perception than the degree to which you have leadership in your life. Ask yourself: “What do I need to learn about communication? What do I need to learn about leadership? What do I need to learn about persuasion?” If you can get better at those, your perception of yourself improves. You start feeling good about yourself when you’re a better communicator. You feel better about yourself when you can lead other people. You feel better about others when you can influence them to support you, believe in you, buy from you, cheer you on or at least improve their own lives. Do you want to know when your self-perception goes to its highest? When you know that you’re in service to others. When you know every single day that you show up to serve and lead and to care for and to be a role model for others, your confidence comes in. Your perception aligns with the truth that you’re here to make a difference. Your perception aligns with the truth that you are capable of helping other people, and when they see that you’re helping other people and you feel like you’re helping other people. That perception comes back into alignment and you feel better about who you are because you recognize that other people are seeing your greatness. You can’t be great if you don’t lead. You can’t feel great about yourself unless you care for other people, you serve other people, and you seek to be a role model. These are the things that can align that self-perception of what other people think and what you think, and gut check yourself once in a while. 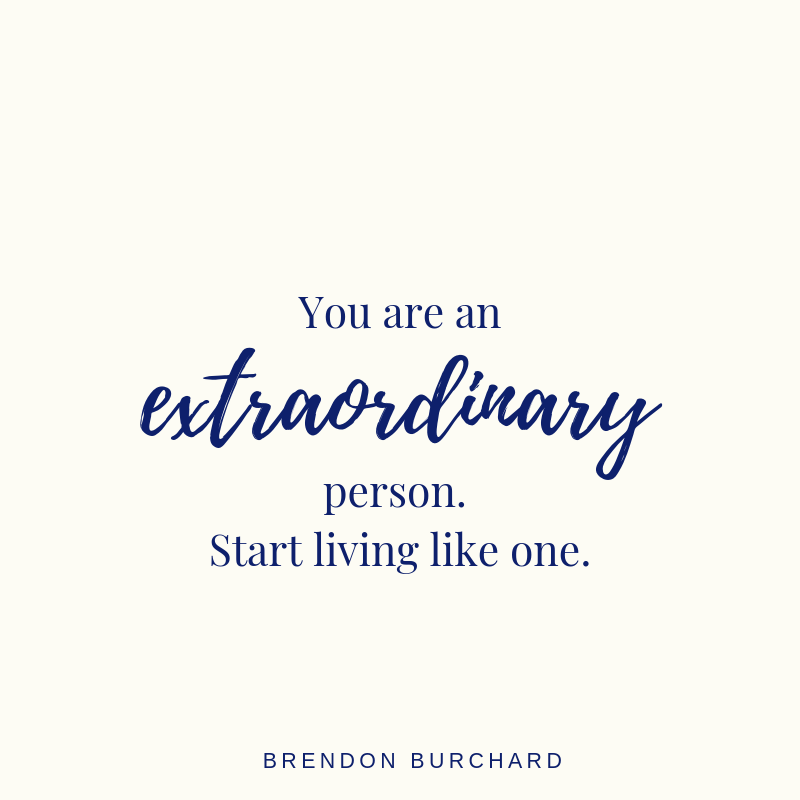 You’re an extraordinary person, so start living like one.